Some of the hottest coils on the market today, the SmokTech VCT Ni200 coils are designed for the VCT clearomizer. 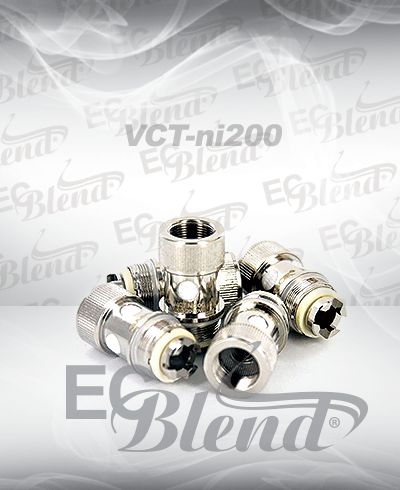 Made with pure Nickel (Ni200) and organic Japanese cotton, the VCT Ni200 coils work with the temperature sensing function of your device to optimize coil heat and designed for use in a variety of temperature control devices. With a power range of 20W to 80W, the SmokTech VCT Ni200 is a popular vaping choice due to its versatility and wick saving functionality. Click the button below to add the Clearomizer Replacement Head - SmokTech - VCT Ni200 Coil - 5 Pack to your wish list.